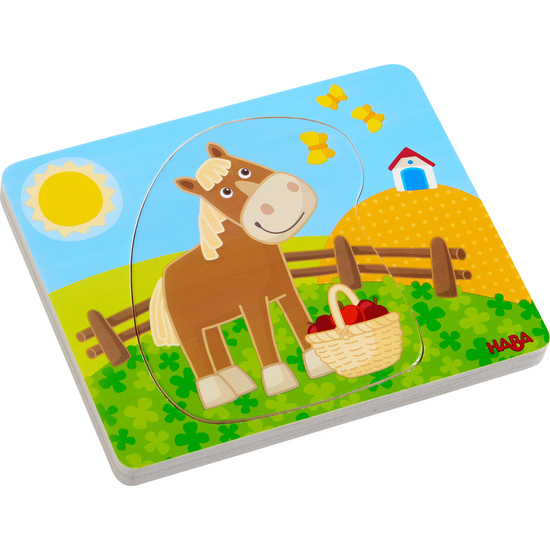 The fun-loving farm animals invite all children to play along. Individual puzzle pieces are puzzled on top of each other into the puzzle board recesses. That’s fun! And trains fine motor skills along the way.